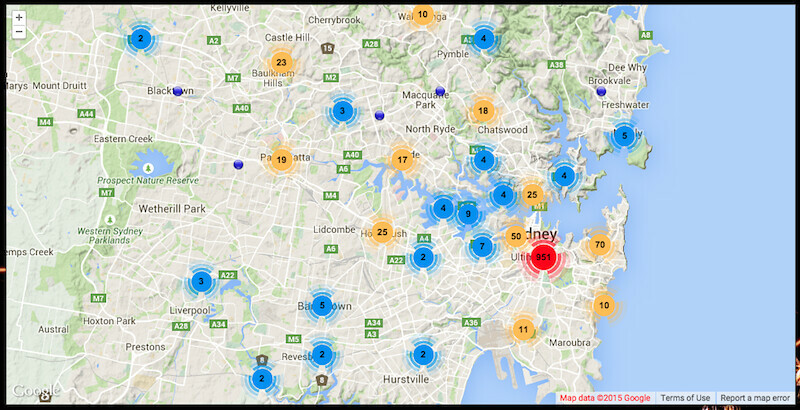 This map was created for the Ignite Sydney event, using Google Docs as a data store and Google Maps API v3 as the mapping front-end. Locations were scraped from Campaign Monitor's dump file, showing clustered user locations. The map demonstrates how to retrieve and geocode features from Google Docs, cluster them, then make them available with an infoWindow. A progress bar informs the user while the features are loading.